Terracotta is an earthenware ceramic derived from the Italian word meaning ‘baked earth’. The word ‘terracotta’ also denotes an orange-brown colour, which adds an old-world style and warm elegance to floors. Terracotta tiles can be glazed or unglazed. From Victorian kitchens of the past to contemporary living rooms and patios, terracotta tiles have stood the test of time and continue adding elegance to homes. 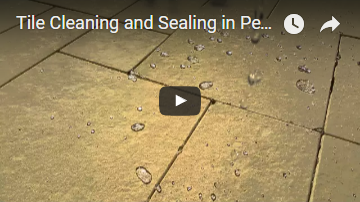 To keep your terracotta tiles looking good as new, it is important to have them professionally cleaned and sealed. 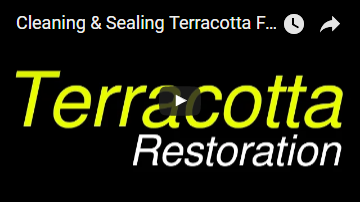 Drytec is a trusted provider of terracotta tile cleaning and sealing services in WA. We use specialized, environmentally-friendly cleaning agents to remove all types of stains, from localized fatty blotches to old blemishes. Various indoor and outdoor areas of your home are covered, from the bathroom and kitchen to the backyard and swimming pool deck. Trained, experienced technicians handle industrial equipment, making sure that the right amount of pressure is applied to your tiles for vigorous cleaning. For a terracotta floor to be cleaned to perfection, its old seal must be first removed. 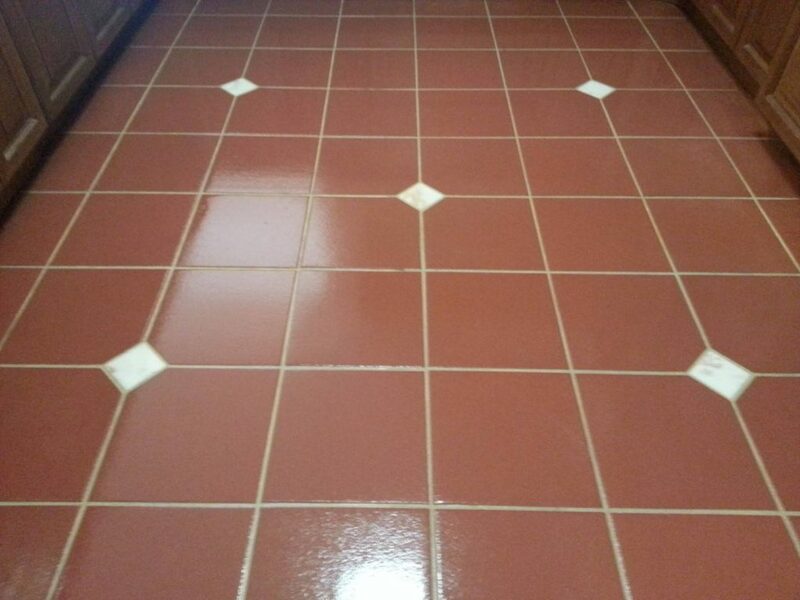 We offer tile stripping as part of our terracotta tile restoration service. We’ve worked on all types of terracotta floors, including twenty-five year old floors with a number of different sealers on them. Our technicians use aggressive strippers and rotary machines to soften old sealers and isolate all the grub and contaminants. 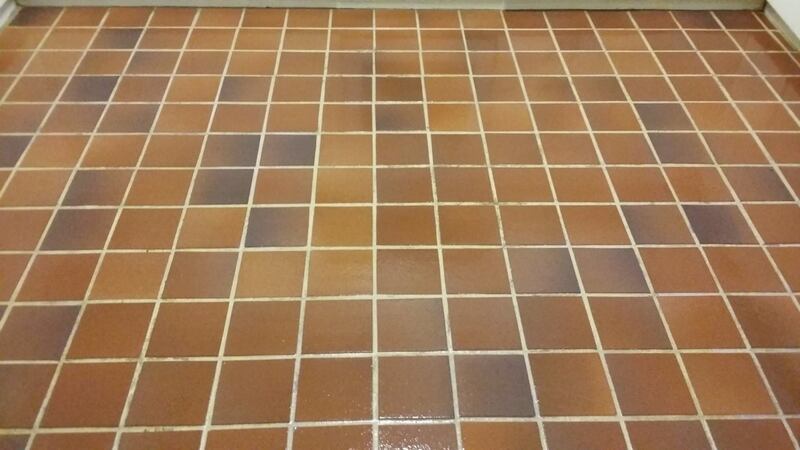 They then rinse the floor, allow it to dry, and proceed to the sealing process. After our technicians are done with the terracotta cleaning process, they will seal the floor to fight off dirt and help prevent wear. 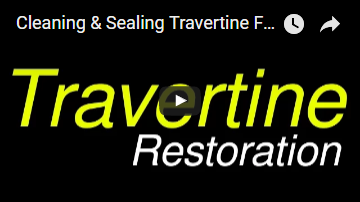 Our sealing process uses topical sealers for satin, gloss and matte finishes. For transparent and colour-enhancing finishes, our technicians employ penetrating sealers developed using deep impregnating sealer technology that effectively penetrates the surface of porous material to create a stain- and water-repellent sealer.